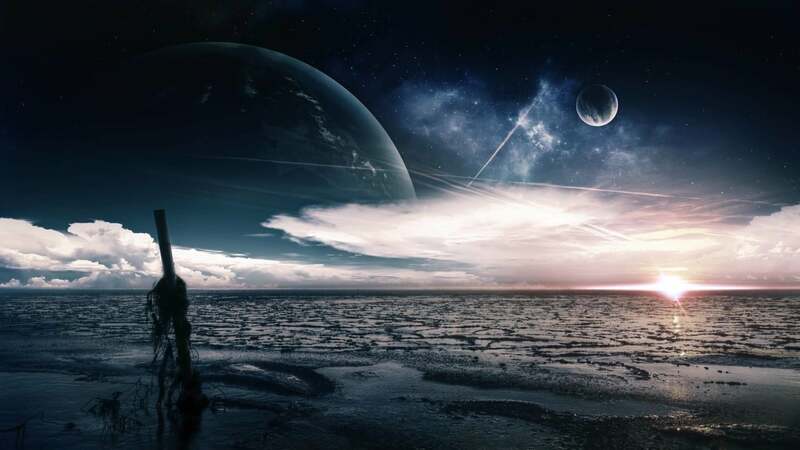 The idea of humanity evolving elsewhere in the universe and migrating to Earth and different corners of the galaxy in spaceships may be a reality after all. Are we the aliens on this planet? If so, where do we really come from? Dr. Ellis Silver, a leading ecologist and environmentalist has gathered certain evidence pointing towards the hypothesis of humans originating from another place in the universe. In his book “Humans are not from Earth: a scientific evaluation of the evidence,” he describes 17 ideas why humans are not from earth and also reveals information about the place of origin and an alternative human timeline. An interesting aspect highlighted by Dr. Ellis Silver is the unique psychology of human beings which suggests that we were designed elsewhere in the cosmos, most likely on a planet with low gravity. “Mankind is supposedly the most highly developed species on the planet, yet is surprisingly unsuited and ill-equipped for Earth’s environment: harmed by sunlight, a strong dislike for naturally occurring foods, ridiculously high rates of chronic disease, and more, “Dr. Silver told Yahoo news. Do we really come from another star system or planet? Other facts from the book speak about how chronic illnesses that trouble the human race, such as bad backs, may prove we developed on a world with low gravity. The doctor also considers the fact that humans have an extra 223 genes, according to a study published by Dr. Francis Crick. Dr. Silver considers the human race has some odd traits which are clearly out of this world. According to him, the human body can’t find the perfect conditions to function flawless. At the opposite pole lies another theory of Doctor Silva, suggesting that if we didn’t reach the Earth in spaceships, then early humans could have been crossbred with another species creating modern humans. The most probable star system from where humans could have arrived is Alpha Centaury, the closest system to our own. Another interesting idea from the book sees the Earth as a prison planet, where a naturally violent species such as ours is condemned to live until it learns to behave. However, Dr. Silver advices his readers to treat the topics discussed in the book lightly since he embraces various possibilities in life, and there are countless possibilities. The book is sure to rise some question marks. It offers an interesting perspective over things and encourages everybody to research on their own until eventually finding the truth. He also encourages readers to send all relevant opinions to further analyze them.